Part of the appeal of investing is that delayed gratification is often rewarded. This is because most large profitable businesses have retained earnings, and with those retained earnings, they are able to invest for the future and deliver ever-higher profits into the future. In some sense, the stock market is a transfer mechanism in which those with impatience and oscillating emotions sell low, and then unknowingly and inadvertently redirect their wealth to those who maintain this multigenerational view of markets. I will provide an illustrative example that has personal significance to me. I have long taken an interest in the British oil giant BP p.l.c., both for its historical role as a significant contributor to the British pension income, as well as the fact that people greatly underestimate the vastness of its resources. To prove the point, consider that BP is expected to earn about $10 billion in profit this year, roughly $1 billion more than Coca-Cola, and Coca-Cola furnishes 3.5% of the world’s liquid consumption. That should provide you with a useful manifestation of BP’s enormity. In 2010, BP stock hit a high of $62.40. The oil spill came, and the stock was pushed downward to $33 immediately before hitting a low of $26.80. For those who bought BP right before the oil spill, saw the quick price decline, and sold, the permanent losses could have been somewhere between 47% and 57%. For those who remained calm, read the annual report, and saw that BP was pumping out 1.7 million barrels of oil per day while sitting on multiple tens of billions of dollars and had an additional $30 billion available under an irrevocable credit facility, it made sense to apply tenacity to the holding. 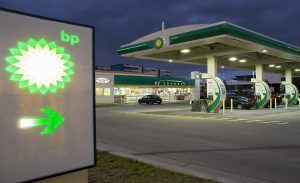 After the initial dividend cut that saw the 2011 payout amount to only $1.68, BP’s dividend has now recovered to $2.46 on a forward-looking basis. For those who purchase immediately before the oil spill, the total dividends collected will amount to $18.96 by the end of this year, assuming no dividend reinvestment along the way. Combined with the current share price of $43.29, the total value of the BP shares will equal $62.25 since 2010. Another fifteen cents of increase in the share price, and BP will have reached the breakeven point from the oil spill. For those who have been reinvesting dividends along the way, accelerating their returns during the low points, the breakeven point already arrived during the second quarter of 2015. I regard these results as a testament to the sheer economic might of holding a legitimate cash-generating asset for an indefinite time frame. Studying BP is a legitimate stress test. We are applying the adverse conditions of assuming an investment on the eve of disaster, and we are performing a test on a company that experienced disaster. Those are two really bad, low probability events that could be classified as “bad luck”, and the strategy still protects capital within a reasonable five to eight year time frame. Even in the eight year scenario, the consequences are still understated because it assumes that dividends do nothing but pile up as cash for the past eight years, rather than be put to productive use of their own. More intriguingly, BP has spent the past eight years trading somewhere in the $40s, for the most part. For those that have purchased shares and reinvested at any point between 2011 and 2016, the annual returns are somewhere between 5.3% and 12.9% fueled entirely by the accumulation of dividends. For those that reinvested, we are talking about returns between 6.2% and 14.8%. It is just part of the ongoing mismatch between perception and reality. Those who bought this stock in 2015 and 2016 are sitting on double-digit returns already and continue to collect a generous dividend yield from a business that is going to earn profits of $1 billion every single month next year. Yet, BP is discarded by the financial media, regarded as a busted business cloaked in the soot and detritus of its own shortcomings during the oil spill. Meanwhile, wealth continues to get made for those that find these niches where reality is superior to perception and then deploy capital and delay gratification accordingly.